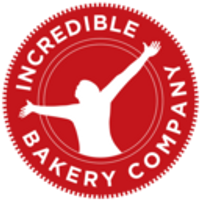 Born out of a simple desire to give their son the best diet possible, the Incredible Bakery Company helps everyone to lead an allergen friendly life through a better diet – without compromising on taste. When City of London workers, James and Valeria became parents to Leon, the discovery that their young son had multiple food allergies meant they had to find food that was not only gluten free but also dairy free, egg free, soya free and peanut free. And of course something so tasty that a child would eat with no fuss! Their son’s challenging dietary requirements became the catalyst for what has become the award-winning Northamptonshire-based Incredible Bakery Company. The market was lacking products which excluded allergens such as wheat, dairy, eggs, soya and peanuts so the couple taught themselves how to bake without these ingredients. The results were delicious, and had a dramatic effect on Leon’s health. Leon was prone to vomiting, eczema, hives and on one occasion a very frightening anaphylactic shock. Now Leon has wonderful clear skin, good digestion and a better diet all round. 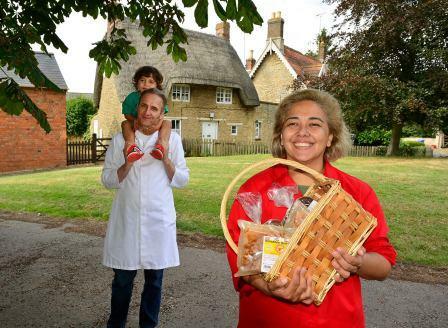 Within two years the couple moved the business from London to the pretty village of Warkton in Northamptonshire and the Incredible Bakery Company has grown from a family hobby into a wholesale craft bakery manufacturer. The products are also suitable for anyone choosing a diet with minimal sugar and salt. Plus all the savoury loaves and rolls are high in fibre and low in saturated fat. Incredible Bakery does not process any of the 14 common food allergens as described by EC regulations in the bakery in Warkton where all Incredible Bakery Company products are made. Incredible Bakery products can be found in a variety of wholefood shops, specialist grocers, distributors, restaurants, cafes, farm shops, delis, pubs, hotels and nutrition clinics. Find your local stockist here or order direct through the website for home delivery or to collect from our shop. In April 2018, the Dark Aromatic Boule was awarded 'Britain's Best Loaf 2018 - Gluten Free' at the Farm Shop and Deli Show at the NEC Birmingham. In February 2018, the 'Ginger, Date & Chocolate Loaf' was awarded 'Editor's Choice' in the Fine Food Digest at the Fine Food Show North. 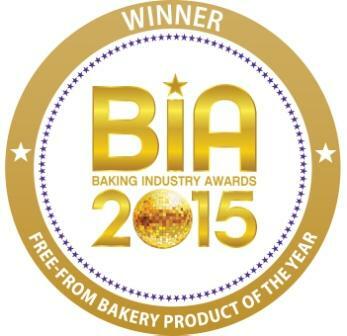 In September 2015 the Incredible Onion Panini was the winner in the 'Freefrom Bakery Product of the Year' category in the Baking Industry Awards 2015. The Incredible Bakery Company was voted one of the 11 Intuit ‘Love your Local Business’ winners and the Incredible Onion and Seeds Loaf was Runner Up in the Carlsberg UK Northamptonshire Food and Drink Awards 2014/2015 in the 'New Local Product of the Year' category. In 2016, the Mini Red Quinoa Loaf made the shortlist of the UK Freefrom Food Awards 2016. In April 2016 the Mini Red Quinoa Loaf was awarded 'Highly Commended' in the Britain's Best Loaf Competition at the Farm Shop and Deli Show.